Do you love quirky things too? I happen to collect quirky bottle openers. I love the old style cast iron versions in nautical themes (a bride gave me a seahorse one that I treasure!). 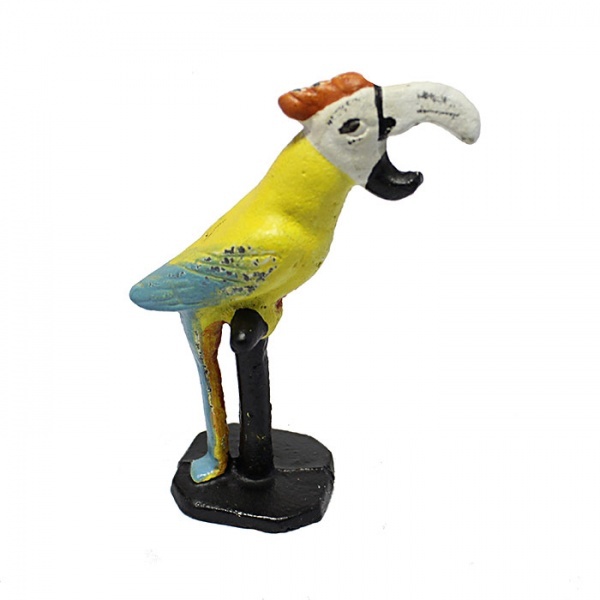 I was looking online today and came across this adorable cast iron parrot bottle opener. I immediately had a vision of putting one at each place setting, maybe with a name tag tied around his neck, and doubling his purpose as both a fun wedding favor and a name card. I know personally, if I was attending a wedding and this was my favor? You wouldn’t be able to wipe the smile off my face!